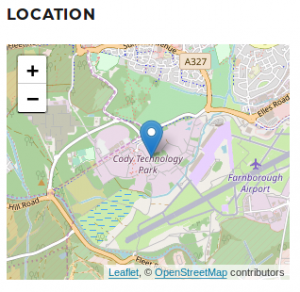 Alternative Map for Wordpress » Dogsbody Technology Ltd.
On 11th June 2018 Google made a massive change to its Google Maps API that has now broken a lot of websites that contain maps. Whilst you can fix this by getting a Google Maps API key and giving them a mandatory credit card to charge you if you go above their free band, a lot of people don’t want to do this and are looking for alternatives. This guide is how to set up a basic alternative in WordPress which doesn’t require a google account or entering credit card details to use the service. Please note there are many Map Plugins for WordPress out there – this is not a recommendation but the easiest one we could find that worked and fitted our criteria. 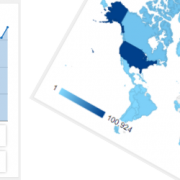 We are not web developers, this article is to help our smaller hosting customers set up new maps on their website(s). Once logged into your website, install and activate the Plugin Leaflet Map. Once activated it will appear in the left hand menu. 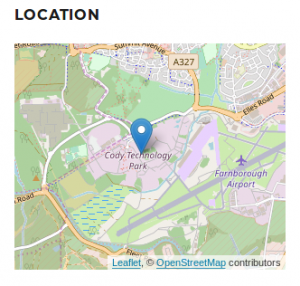 Go to Leaflet Map – Shortcode Helper and use the Map to position your marker pin (marked Drag Me) to your location. These short code can now be entered onto a Page, Post or in a Text widget (Appearance – Widgets) and a map will be active . You can edit the zoom number as you see fit. The above will give you a simple map with a marker pin at your location. You can add a number of features. Below we help set up the two we feel are useful. To add text to your marker pin as per the example above you need to edit the code in your Marker Shortcode on your page, post or widget. Simply insert the text you wish to display to the end of your leaflet-marker code and add [/leaflet-marker] at the end of the text. 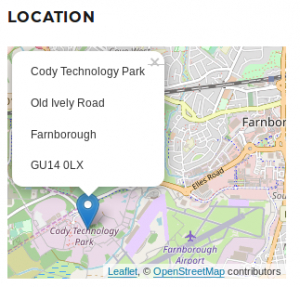 To add zoom buttons you need to edit the code in your Map Shortcode on your page, post or widget. Below is the code you need to add. Always set zoom control to 1. As with all plugins you need to ensure you keep them updated to the latest version so they do not become a vulnerability to your website. 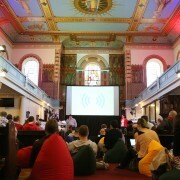 Hopefully this will help smaller website owners with no web developers to make these changes to their website themselves. If you require help please contact us for a quote.